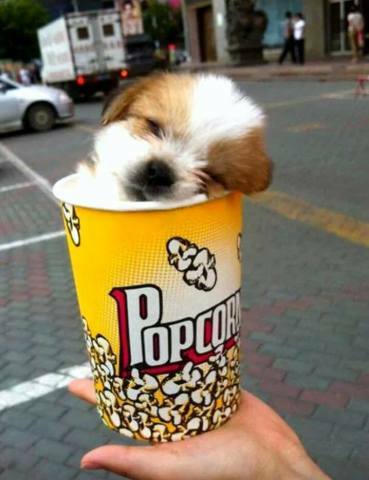 *yawn* I hopes you don't minds that I eated ther rests of your popcorns. It was really goods. Now I is sleepy. I takes nap right heres -- 'kay?